There is a “secret menu” in Eva’s that returning customers may or may not have noticed. Usually people go straight to the counter and look up to see the menu, but to the left side of the registers, there is another menu. 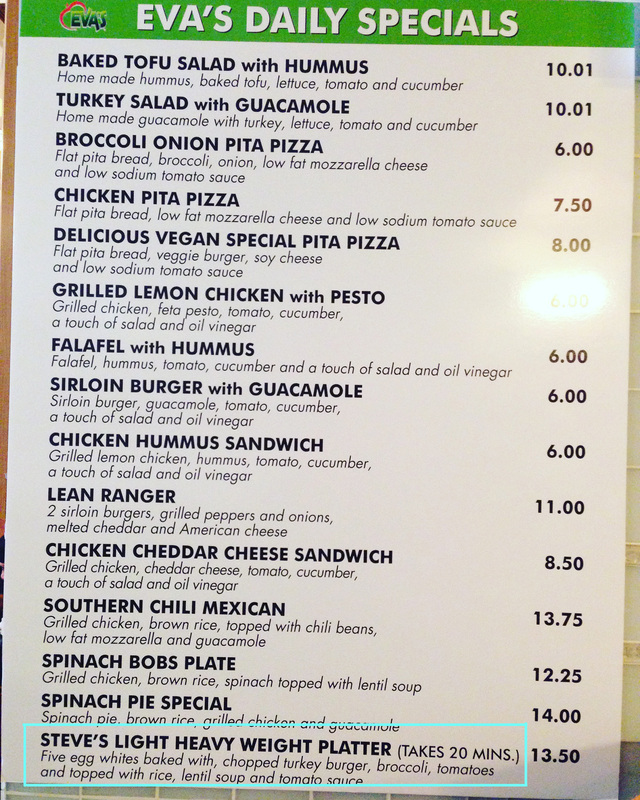 Aside from all the dishes that our customers know and love, such as the Falafel w. Hummus Sandwich, the Ultimate Plate, the Tony’s Plate and more, the General Manager Steve Kapelonis created this menu as sort of a “taste” menu. In these dishes, he combines Eva’s recipes in a way that will blow your mind. The dish we are highlighting today is the newest edition to the menu: STEVE’S LIGHT HEAVY WEIGHT PLATTER. Please get your forks and knives ready and enjoy the video below!